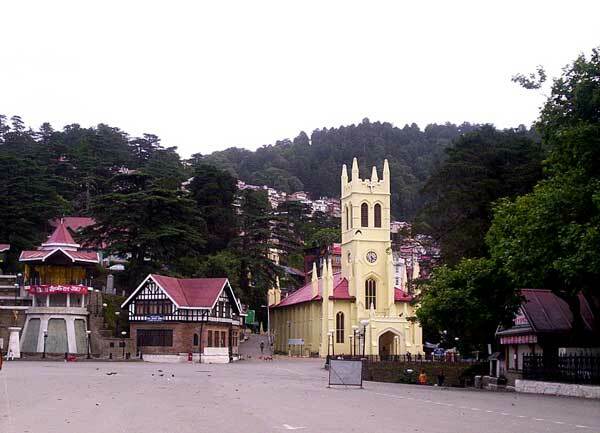 All visitors to Shimla inevitably walk down the Mall, the main promenade that runs along the top of the ridge…Scandal Point..
Tara Devi temple is located 11 km from Shimla. 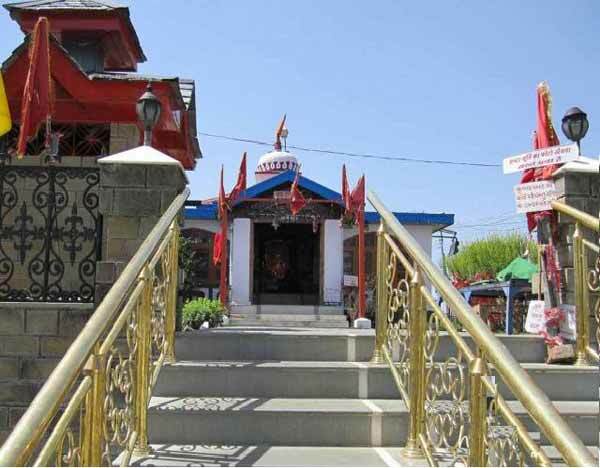 Tara Devi temple is famous tourist attraction of the Shimla. The temple is dedicated to Goddess Tara. The meaning of Tara is Star. 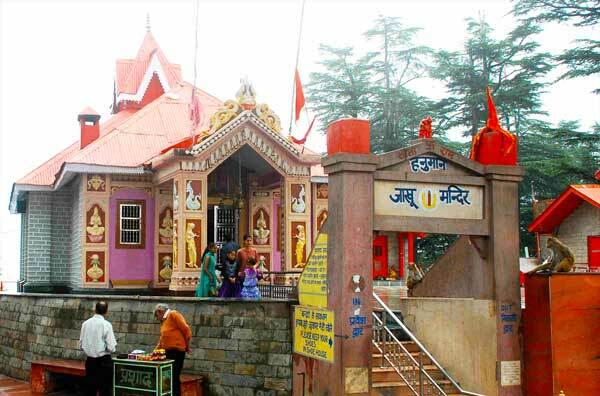 Tara Devi temple is situated at the top of a hill in Shimla. The Tara Devi temple was established 250 years ago. According to legend the Goddess Tara Devi was brought from west Bengal to Himachal Pradesh. Read more about Tara Devi Temple. 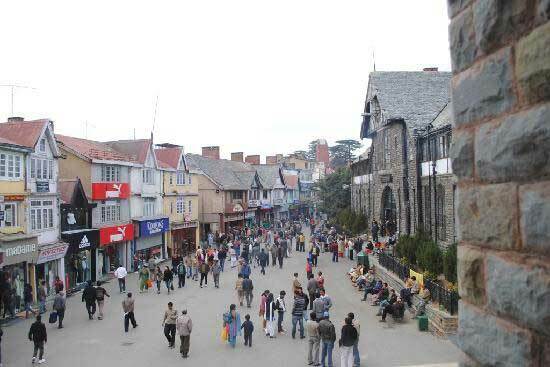 Narkanda is a beautiful town in Shimla district of Himachal Pradesh. The altitude of Narkanda is 2708 meters. Narkanda lies between 31.27°N and 77.45°E. 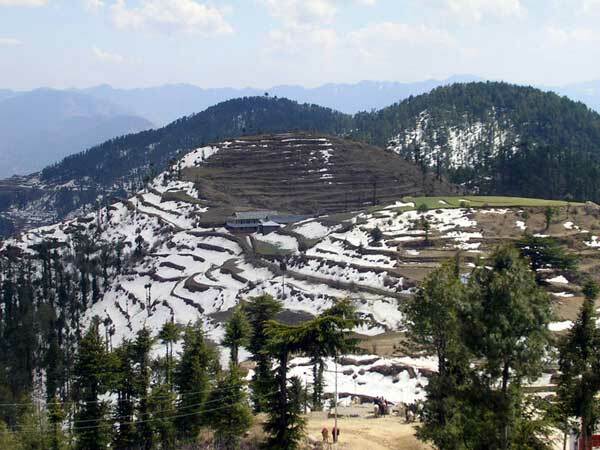 Narkanda is situated 65 km from Shimla. Narkanda is surrounded by beautiful Shivalik mountains. Narkanda is famous for skiing and angling and winter sports. The skiing at Narkanda was started in 1980. HPTDC conducting skiing courses every year. Read more about Narkanda. 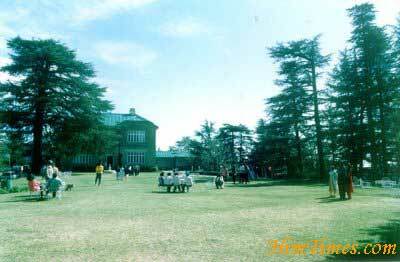 An Himalayan Nature park and Indira Tourist Park with HPTDC’s Cafe Lalit are major attractions at Kufri. Once can have panoramic and beautiful views great views of nearby places from Indira Park. One can have a Pony, Horse and a Yak Ride, at reasonable prices, provided you are good at bargaining.In other adventure activities, one can participate on a visit to Kufri are Hiking, snow skiing, capturing beautiful scenes of nature, landscape and forest in a cool environment. Kufri is famous for trekking and hiking trails in particular. Adventure-seeking travelers from across the world visit Kufri in winters to enjoy skiing and tobogganing along its snow-covered slopes. Read more about Kufri . 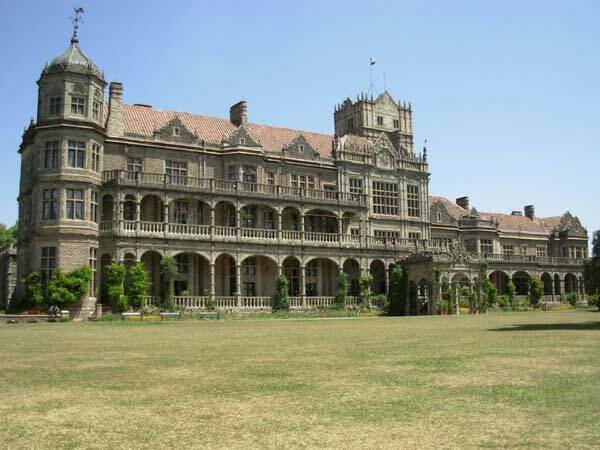 NAV BAHAR: Behind Saint Bede’s College is Himachal’s forticulture and fruit processeong unit…..
STATE MUSEUM (3km): This houses a representative collection of Himachal Pradesh’s rich heritage. 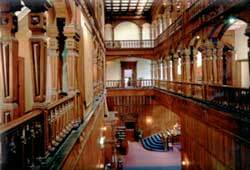 Exhibits include archaeological artifacts, carvings,paintings and sculptures. Closed on Monday and holidays. THE GLEN (4km): At 1830m, It is a thickly wooded ravine through which a stream flows. It is a popular picnic spot. ANNANDALE (4.5km) : Surrounded by a thick deodar forest, this large glade has an ancient temple on an edge. PROSPECT HILL AND KAMNA DEVI (6km) : At 2125m and crowned by a temple dedicated to Kamna Devi, the Hill offers spectacular wide views of the city and its environs. SANKAT MOCHAN (7km): This is a temple dedicated to Lord Hanuman. TARA DEVI (11km): 2044m, A thickly wooded hill whose peak has a temple dedicated to Tara Devi. MASHOBRA (12km): At 2149m, this beautiful suburb is surrounded by a thick forests. From here, a track leads down to Sipur which is an exquisite glade shaded by ancient deodar trees. There are old temples on a side and a fair is held every April. 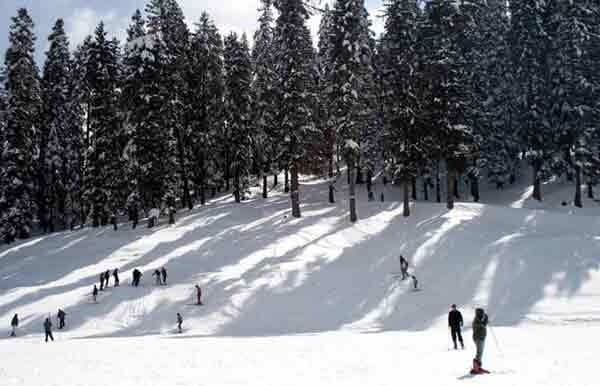 KUFRI (16km): At 2501m, this is famous for its wide views and ski slopes. An enjoyable walk leads up to the Mahasu Peak. At Kufri, Himachal Tourism runs the Cafe Lalit. FAGU (22km): At 2510m, Fagu has some enchanting views. Himachal Tourism runs the Hotel Peach Blossom (presently under renovation). TATTAPANI (51km) : At 656m, there are hot sulphur springs here. Himachal Tourism has a restaurant and Tourist Bungalow at Tattapani.